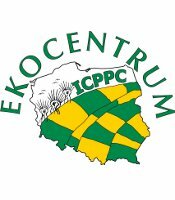 The European Coordination Via Campesina, which represents 27 organisations of small and medium scale farmers, farm workers and rural youth in 16 European countries wish to express full support to the polish farmers currently protesting for their basic rights to work and make a living from farming. - to produce fresh and good quality food for citizens without damaging the environment. The same struggle for food sovereignty is occurring across Europe and all over the World. The United Nation's 'International Year of Family Farming' in 2014 has highlighted the central role that small and medium scale farmers play in insuring our food security. The international community has started to take action in this direction and the new European agricultural policy has included some measures to ensure better future for family farms - Unfortunately most measures are not mandatory and farmers still need stronger measures of support. fundamental text to ensure sustainable tenure of land for farmers, it should be implemented now. In a context of climate and global crises, positive steps must be taken by every European government, including Poland, to give a sustainable future to agriculture and food production. Where governments refuse to defend these principles, farmers must unite and stand up for them together.